A few days ago, I told you guys about a couple of kid-friendly day trips in and around the Central Kentucky area. If you didn't get a chance to check out that post, you can see it here. Well, after looking around researching destinations for that post, I realized that there were tons of places that we have never been, and tons of places that I was leaving out! I just had to follow up with another post with more kid friendly trips in Central Kentucky. Our family has been to a few of these places, but not in the last few years. We really just haven't had the extra money to do much fun stuff. Hopefully soon we will be back on track and be able to take the boys to a few of these places! I have come up with a few little "mini trips" that I would like to take this year, and I will share them with you guys! 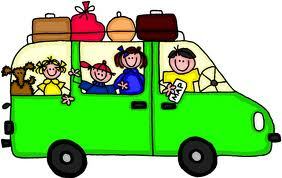 My first little "mini trip" would be in Louisville. It's not too far away to drive with two screaming kids, and there is enough to do to be able to stay the night there in a hotel, maybe even two nights. The Louisville Zoo is probably my favorite place in the whole world! I love this place! 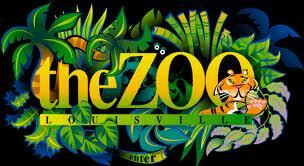 The Louisville Zoo is not as big as the Cincinatti Zoo, but I really like it much better. The layout is just much more sensible and easier to navigate, and the habitats of the animals are cleaner and more spacious. 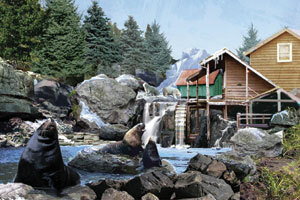 The newest exhibit at The Louisville Zoo is Glacier Run, opening this Spring! "Glacier Run will be a truly unique experience where one can visit the animals, talk to the keepers about conservation and become temporarily immersed in life on the tundra. The exhibit will recreate the natural habitat for some of the Zoo’s most popular residents including polar bears, seals and sea lions. The addition of sea otters and bird species like the Steller’s sea eagles and magpies will add to the feeling of being surrounded by wildlife. The town of Glacier Run will include a schoolhouse, climatology lab and general store. A spacious amphitheatre will make viewing the seal and sea lion enrichment demonstrations more enjoyable." I can't wait to see Glacier Run, it looks awesome! 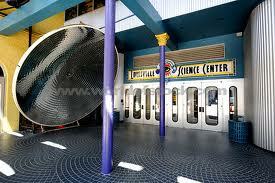 The next place on my list is the Louisville Science Center. This is where I went on my 8th grade trip, and I really enjoyed it! The Science Center is a hands-on museum-type place where kids and learn and have fun at the same time! They have an awesome Imax theater, and even a KidZone especially for children 7 and under! We would have dinner at The Old Spaghetti Factory in downtown Louisville, and then the next day we would be raring to go visit the Louisville Slugger Museum, and mommy's personal favorite place, Churchill Downs. 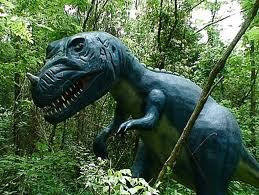 Ahh, it sounds lovely, in my mind, anyways..
Dinosaur World is an outdoor museum that features life sized dinosaur models. Kids can get up close and personal with them, and even dig for "fossils" and "bones"! This sounds like something that would be right up Tater's alley! Kentucky Down Under: a unique experience for kids to explore and visit with Kangaroos and other animals from down under, as well as explore the amazing Kentucky Caverns cave system. This sounds like a lot of fun and I really think Tater would like this one too! 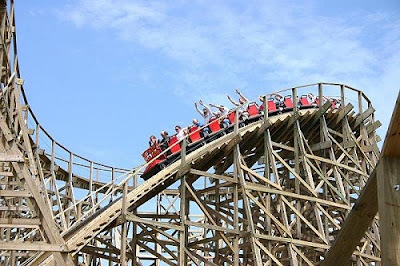 Beech Bend Park: This one would probably take a whole day itself! It's outside of Cave City, in Bowling Green, but Beech Bend Park looks like a great place! Beech Bend is an amusement park, water park, drag strip and campground all in one! The best part? FREE soft drinks, FREE sunscreen, FREE parking, and FREE tubes! I think this one would probably be the highlight of our trip! I am sure I will have more trip ideas in the next few days, but this should keep me busy for awhile! disclosure: I was in no way compensated for any of these posts. These are just great places that I would genuinely like for my family to visit! My favorite place to go in Kentucky is Mammoth Caves. Is that Central?